With the end of the year almost upon us, it’s time to revisit the films released over the past 12 months in order to discern the best offerings from the Korean film industry for 2014. First, however, a quick review of the year is in order to chart the highs and lows from the peninsula, as it was a tumultuous time for Korean cinema indeed. For those who cannot wait, please scroll down to find the top ten of 2014. 2014 was, by all accounts, a rather lacklustre year for Korean cinema. The beginning of the year was undoubtedly dominated by Hollywood. While the release of several high profile Korean films including Plan Man, Man in Love, Hot Young Bloods and Venus Talk occurred, none of them performed particularly well, especially when faced with the gargantuan success of Disney’s Frozen. Things changed at the end of January with the release of Miss Granny, thanks largely to positive word of mouth. Starring Shim Eun-kyeong as an elderly woman transformed into twenties, the mild-mannered comedy was a fairly big success scoring over 8.6 million admissions. Controversial independent film Another Promise also performed impressively. Concerned with people stricken with cancer after working at a Samsung factory, the film was all but rejected from multiplexes causing outrage from critics as well as accusations of insider suppression, even prompting an article from UK outlet The Guardian. For the next few months, Korean cinema continued to stagnate until things went from bad to worse in the wake of the tragic Sewol Ferry disaster on the 16th of April. With the entire nation reeling from the loss of so many lives – mostly high school students – cinemas, understandably, largely remained empty. For the next few months, with the population still in a collective state of mourning, attendance and revenue was considerably down compared to the year prior, with audiences also tending to stay away from violent films such as No Tears For The Dead and Man On High Heels. Indie success came in the form of Han Gong-ju. Released in April, the film scored over 60,000 admissions during its first four days, and eventually surpassed 160,000 during its box office run to become one of the most successful independent films in the history of Korean cinema. Han Gong-ju was also an enormous hit on the international film festival circuit, achieving several top honours as well as acclaim from cinema maestro Martin Scorsese. Internationally, good news also came in May as A Girl At My Door, A Hard Day, and The Target all gained invitations to the Cannes Film Festival. Things turned around considerably in late July. 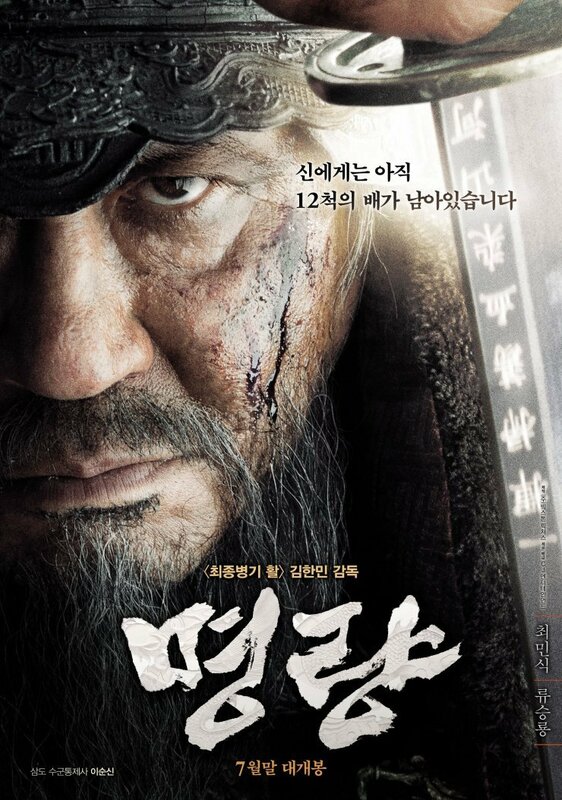 Upon release, KUNDO: Age of the Rampant broke the record for opening day admissions and helped to breath new life into the industry…until that record, and virtually every achievement in Korean cinema, was decimated by historical naval epic The Admiral: Roaring Currents. Shortly thereafter the final two tentpole summer films – The Pirates and Haemoo – also graced screens to moderate success. Fears that the blockbusters would fail due to narratives that contain deaths at sea, and thus touching on the still sensitive issue of the Sewol tragedy, luckily proved to be unfounded. The next big news to hit the industry came in the form of controversial documentary The Truth Shall Not Sink With Sewol. 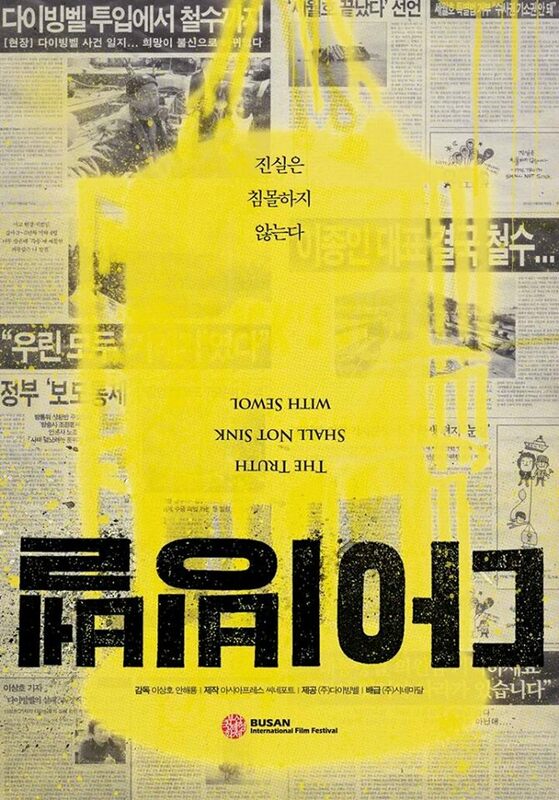 Premiering at the Busan International Film Festival, Sewol depicted the ineptitude of the government in failing to save so many lives during the disaster. Park Geun-hye’s administration responded by demanding the withdrawal of the film from the festival, as well as threats of funding cuts. BIFF refused, and it remains to be seen what ramifications the decision will have on subsequent festivals. The year ended on a high note, particularly for independent cinema, as positive word of mouth led to documentary My Love, Don’t Cross That River (님아, 그 강을 건너지 마오) attracting over 1 million viewers and knocking Hollywood films Interstellar and Exodus from the top spots at the box office. It currently stands as the second most successful documentary in Korean cinema history. Before beginning the top ten countdown, it would be impossible to exclude any discussion of Han Gong-ju. Rated in joint first place in last year’s ratings (due to its premiere at BIFF), director Lee Su-jin’s directorial debut is bold, powerful, and emotionally resonating. Featuring an outstanding performance by Chun Woo-hee – who won Best Actress at the Blue Dragon Film Awards – Han Gong-ju is based on the true story of a high school girl who is forced to relocate to a new area following an horrific event. As she attempts to rebuild her life, Gong-ju discovers that she cannot outrun her past however much she tries. Appearing at over 15 international film festivals and receiving acclaim from Martin Scorsese himself, Hang Gong-ju is not to be missed. Manshin: Ten Thousand Spirits is a beautifully stylised, wonderfully constructed documentary that is emblematic of the new artistic approach being employed to genre. 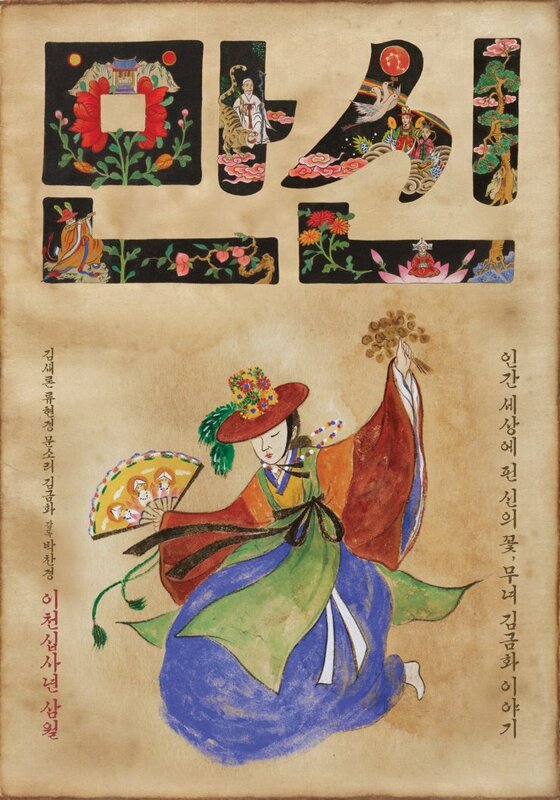 Directed by artist/filmmaker Park Chan-kyong, Manshin presents the life and times of renowned shaman Kim Keum-hwa through a startling array of storytelling devices, all in the aesthetic of traditional Korean culture. Periods from shaman Kim’s life are gorgeously reconstructed featuring three prominent actresses – Kim Sae-ron, Ryoo Hyeon-kyeong and Moon So-ri – which, while interesting in itself, is also a story that explores the cultural identity of Korea in the rapid transition from one of the poorest nations in Asia to the economic powerhouse it is today. Amalgamating several real life stories that have transpired over the years, Korea’s most prominent queer director, Lee Song Hee-il, released arguably his most compelling film to date in the form of Night Flight. Poignantly depicting the relationship of two teenage gay Seoulites and their desire to escape their oppressive environment, director Lee Song goes beyond focusing primarily on the romance by profoundly developing the world they inhabit. The harsh education system, the class divide, single parent families and social injustice all feature, and as such homosexuality is naturalized as simply another facet of identity that youths struggle with, resulting in an insightful and compelling drama. Documentary Let’s Dance is concerned with the topic of abortion in Korea. Director Jo Se-young brilliantly interviews a variety a women who have undergone the procedure, inquiring about their thoughts, reasons and feelings about the controversial subject matter. Yet the film is far from bleak; in fact it’s quite the opposite. During the refreshingly frank conversations the women laugh, joke and cry about their experiences, while dramatic recreations of comical events are interlaced within, making the documentary a genuinely funny, enlightening, and empowering film. The film also hilariously pokes fun at male ignorance on the subject, including lack of awareness regarding contraception and even the length of pregnancy. Inspirational viewing. Director Boo Ji-young’s insightful second feature film Cart premiered at the Toronto International Film Festival to great acclaim, and for good reason. 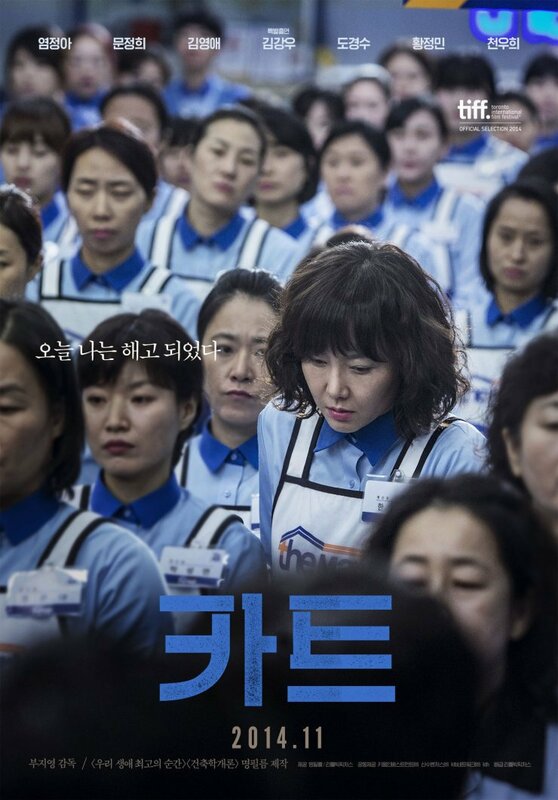 Based on the true story of unfairly dismissed supermarket employees who began strike action to be reinstated, Cart is a consistently impressive exploration of worker’s rights, women’s issues, and single parent families in contemporary Korea. The provocative drama explores each facet from several distinct perspectives and never fails to be engaging. It also has the distinction of being almost entirely female-centered to great effect, with acting duties from a host of incredibly talented actresses of all ages, combining to produce a moving, courageous and provocative socially-conscious drama. South Korea has the unfortunate distinction of having one of the highest suicide rates in the OECD. Thread of Lies tackles such difficult subject matter by exploring the lives of those effected in the aftermath of a young girl’s suicide, and is a powerfully provocative film in that the story not only depicts bullying and depression, but also delves into the problematic realm of accountability. Driven by the need for answers, Man-ji begins investigating her younger sister’s suicide, with the conclusions proving to be a painful experience. Thread of Lies is also notable for having a stellar all-female cast, a real rarity these days, with the array of talent combining to produce an understated yet deeply resonating examination of an important social issue. Easily the most controversial Korean film of the year, documentary The Truth Shall Not Sink With Sewol premiered at the Busan International Film Festival to uproar. 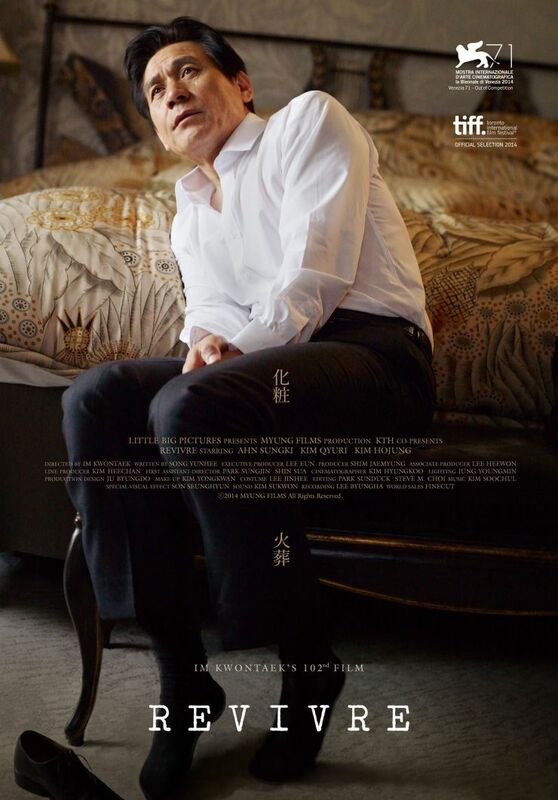 Under pressure from government officials and the mayor of Busan/Festival Chairman Seo Byung-soo himself to remove it from the schedule, BIFF ultimately refused and screened it anyway to reveal a highly emotional and courageously critical exploration of the administration’s disastrous rescue efforts following the Sewol tragedy. Through the investigative approach of director Ahn Hye-ryong and journalist/director Lee Sang-ho, the documentary is a powerful tribute to not only the victims of the event but also the ongoing debate of accountability, and the collusion between the state and mass media. If there’s one genre synonymous with Korea cinema, it’s the thriller. Yet over recent years thriller films have tended to fall a little flat, a result of over-saturation combined with a lack of ingenuity. Not so with director Kim Seong-hoon’s A Hard Day. Premiering at Cannes Film Festival, the action extravaganza is perpetually riveting entertainment and a wonderful example of great popcorn cinema, so much so that the 2 hour 30 minute running time simply flies by. Featuring an exciting array of set pieces throughout, A Hard Day is a constant mix of excitement and tension that serves to keep the audience guessing – due in no small part to the phenomenal editing – while the ironic dark humour laced within the story always hits the mark. Nominated as Korea’s official entry for the Academy Awards, Haemoo – or Sea Fog – is based on the horrific true story of illegal immigration gone wrong. Director Shim Seong-bo’s directorial debut is a thrilling visual tour de force, expertly capturing the fraught claustrophobia of life on a small fishing vessel and the abject horrors that occur. Produced by Bong Joon-ho and featuring cinematography from Hong Kyeong-pyo (Snowpiercer), the drama expresses a profound and distinctive aesthetic throughout, as well as great performances from the stellar cast and particularly from up-and-comers Han Ye-ri and Kpop star Park Yoochun. As such, Haemoo is certainly one of the best Korean thrillers in recent years. After seemingly years of performing authoritarian cameo-esque roles, Ahn Sung-gi once again revealed why he’s considered one of the best in the business with an outstanding return to form in Revivre. Veteran director Im Kwon-taek‘s 102nd film, Revivre explores the life of a middle-aged vice president whose wife is stricken by a terminal illness, yet while he struggles to balance his responsibilities a beautiful new deputy manager begins working in the office who captivates him. What could easily be yet another typical male fantasy is given extraordinary emotional depth due to director Im’s and Ahn Sung-gi’s seasoned hands, both of whom combine to depict a man torn between duty and desire with striking sincerity. Director July Jung’s directorial debut A Girl At My Door premiered to a standing ovation at the Cannes Film Festival, which in itself states the incredible power of the film. Produced by famed brothers Lee Chang-dong and Lee Jun-dong, the drama beautifully explores the themes of alienation and discrimination in contemporary Korea, featuring phenomenally understated performances by Bae Doo-na and Kim Sae-ron, as well as accompanied by some of the most exquisite cinematography seen all year. The sensitive and poignant story wonderfully captures the issues faced by those on the fringes of Korean society with incredible sincerity, and as such occupies the top spot in the list. Highly recommended and essential viewing.